A postcard from Ukraine, received through official postcrossing. 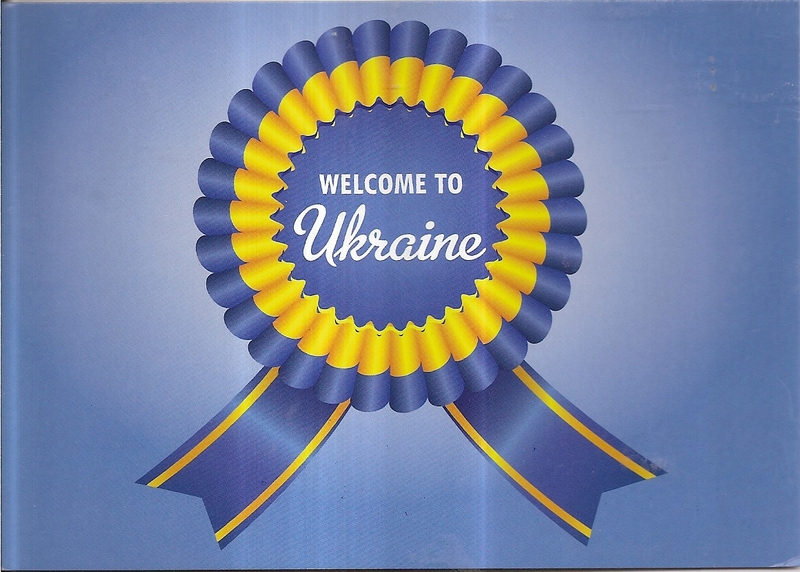 It’s a simple postcard with a Welcome to Ukraine message. At the back, there are two beautiful stamps, one of them is a portion of a minisheet. 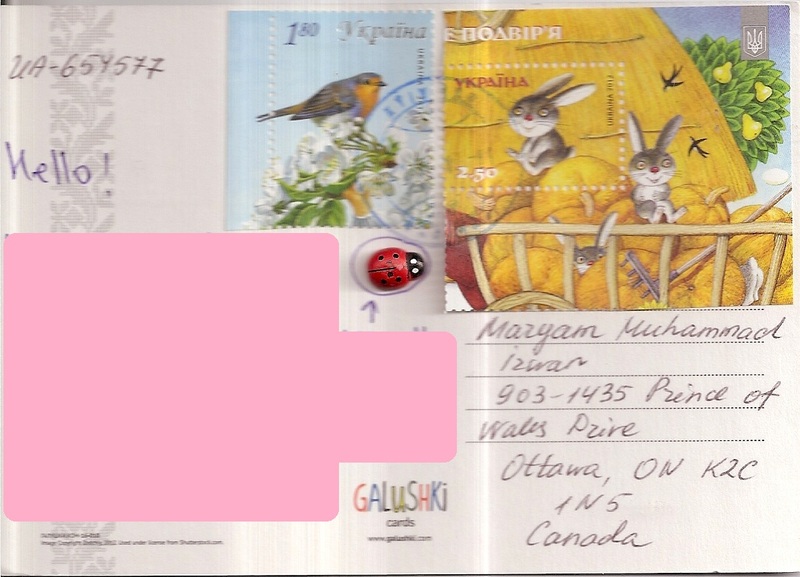 There is also a 3D ladybug sticker that surprisingly came sticked to the postcard all the way from Ukraine to Canada! The postmark date is 21 June 2013 and the location is Kiev. Thank you to the sender!